For internal or congregational oriented ministries, see the link in the navigation bar to the left. 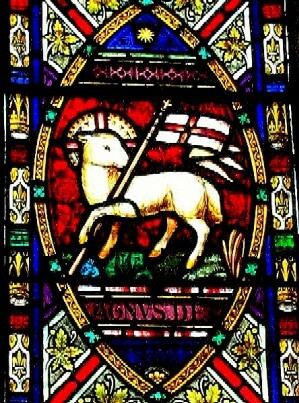 The Church is also open each week day for visitors to browse or to pray. Christ Church provides free breakfast seven days a week throughout the year and an evening meal every Monday and Wednesday. The Community Meals Program is well known and is a respected contribution to welfare in Geelong. Our guests come from a range of backgrounds - street kids, homeless people, schoolchildren, people who need company as much as food, the unemployed, stranded travellers and families. Those who come for a meal are welcomed regardless of their circumstances and for some, the meal at Christ Church may be their main meal of the day; for others it is their only meal. The Meals Programme is run entirely by volunteers, sometimes with the assistance of students from different local schools. 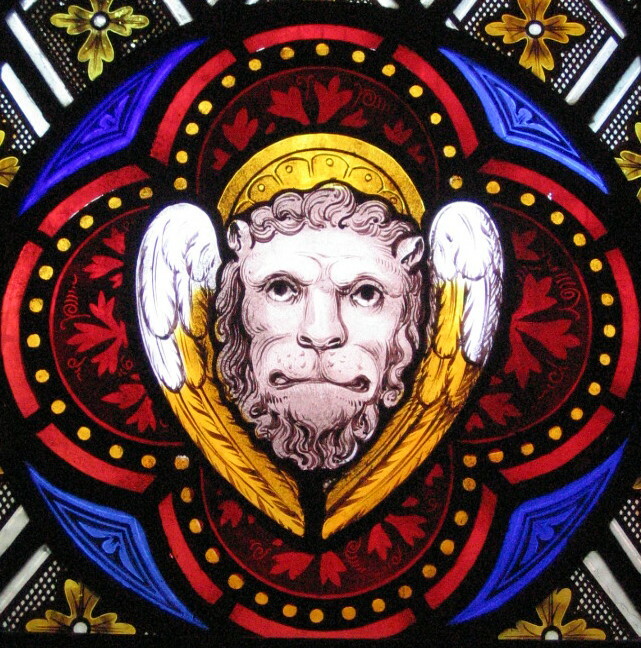 The Program is registered with the Anglican Benevolent Society Inc., and so donations made to the Program when accompanied by the appropriate paperwork are tax deductible. BREAKFAST 7.30-9.00AM EVERY DAY - is available to any person. A substantial breakfast is served 365 days of the year, comprising hot drinks, toast, cereal, and a cooked breakfast. Approximately 10,000 breakfasts are provided per year. Volunteers and donations to support this program are provided by many community organisations, businesses, St John of God, Barwon Health, several Anglican, Catholic, Uniting, Orthodox and other Parishes. On both monday evening and Wednesday evening a two course main meal is served in the Parish Hall, with tea, coffee and cordial provided. Surplus food is also available to take away. Approximately 9000 meals are served every year. Service Clubs and the general public provide funds; Glynn Harvey provides 10kg of peeled potatoes per week and other goods from time to time. TasmanMeats in Belmont provides a substantial amount of meat each month. 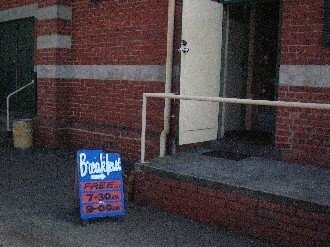 Both breakfasts and the Monday/Wednesday evening meals are served at the Parish Hall at the corner of Moorabool and Lt Myers streets. EMERGENCY FOOD RELIEF During the hours when Christ Church is open for visitors each week day (usually Monday-Friday 12.00-2.00pm), emergency food relief is available for pensioners, health care card holders, and those in need. Strong demand requires that emergency food relief can only be accessed by each person once per month. Annually approximately 350 people use this service. The St. John Of God Lighthouse Foundation provides items for the food cupboard which are supplemented from donations in kind by parishioners and others in the community. Emergency relief enquiries are handled by the volunteers who open the Church each week day for visitors. If you are interested in volunteering to help at either the Breakfast or evening Meals programme, or in supporting the emergency food relief program, see the Contact Us entries ... access via the link above or to the left. 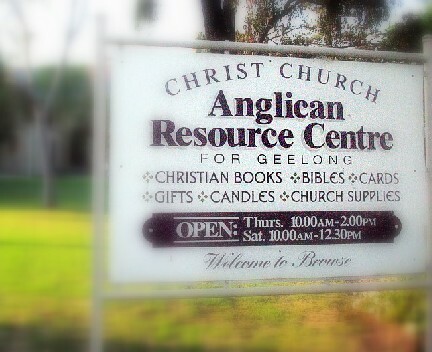 For many years Christ Church has operated a Resource Centre for the Anglican Archdeaconry of Geelong, as a supply hub for the whole region. The Resource Centre is situated within the Parish Office Annexe in the Parish Hall at the Moorabool St. end. The entrance is from the north side of the Annexe (off Moorabool Street). The Centre stocks Church supplies such as candles, Baptism and Confirmation cards, Altar Breads, Incense and Parish Study material. There is also a limited range of devotional, pastoral and educational books available, and a range of greeting cards and other gift items are stocked. For product and contact details, use the Resource Centre link in the navigation bar on the left. A small committee supervises the Centre, and the Centre is run by volunteers. For further information regarding products see Contact Us via the link above or to the left. Feel free to drop in to the Centre during its open hours. From time to time Christ Church becomes a focus for music in Geelong. Community groups use the church as a concert venue - by such varied groups as the Sudanese Chollo Choir from Melbourne, the Melbourne Singers, performances of Stainer's "Crucifixion" at several Easter celebrations, and more recently Vox Angelika Vocal Ensemble - you can see some details and photos of various of these events via the Recent Celebrations link to the left. Our contribution is to provide a venue to local and Melbourne musicians who love to perform in an historic and unique ambience. For the Parish it provides enjoyment and the opportunity to invite outsiders to experience our Church and its magnificent acoustics. Further concerts are planned and will be advertised in the local press, via this Web site, and in Parish newsletters. If you want to ensure that you don't miss out on future musical events and celebrations and would like to be included on our email list, see the corresponding contact in the Contact Us page. We'll let you know as events are planned.